OSV Market: Which Way is Up? In its 2019 “Annual Energy Outlook” the US Energy Information Administration (EIA) projects that electric generation from renewables (wind, solar, hydro) will go from 500 billion KWh in 2018 to 1500 billion KWh in 2050, just 30 years from now.“The AEO highlights the increasing role of renewable energy in the US generation mix,” said EIA Administrator Linda Capuano. 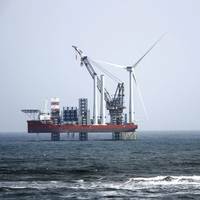 “Solar and wind generation are driving much of the growth. In fact, our reference case projects that renewables will grow to become a larger share of U.S.
One year ago, we reported on vacation river cruising, presenting an industry mostly on the optimistic side of growth and expansion for 2018. 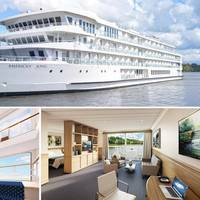 This year’s review is more geographically limited – to the Mississippi River, heartland cruises centered among New Orleans, Memphis, St. Louis and St. Paul – but with links important for a lot of smaller cities in between.Big picture:This industry is strong, at least among its two major players: American Cruise Lines and the American Queen Steamboat Company. Both have extensive and varied schedules for 2019. 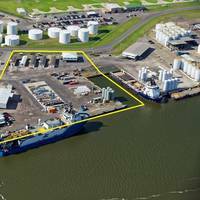 Polish Oil & Gas Company (PGNiG) and Venture Global LNG have entered into an agreement relating to the terms of delivery of liquefied natural gas from Calcasieu Pass LNG and Plaquemines LNG facilities. 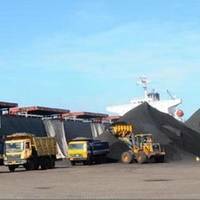 The agreement defines basic terms and conditions of a 20-year contract for the sales and purchase of two million tonnes per annum (Mtpa) of LNG, which equals about 2.7 bcm following regasification. 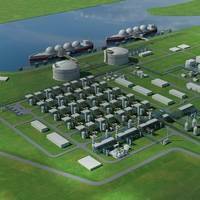 Cargoes will be supplied from Calcasieu Pass and Plaquemines LNG export facilities which are expected to be completed in 2022 and 2023 respectively. Officials from the Port of Long Beach, Southern California Edison and the California Energy Commission today launched the nation’s largest pilot project for zero-emissions cranes and other cargo-handling equipment for seaports. Funded mostly by a $9.7 million grant from the California Energy Commission, the project will bring 25 vehicles that are zero- or near zero-emissions to Port of Long Beach marine terminals for one year to test their performance in a real-world setting. DEA and its partners in PL418 have selected a subsea tie-back to the Gjøa platform as the concept for development of the Skarfjell discovery in the Norwegian North Sea. 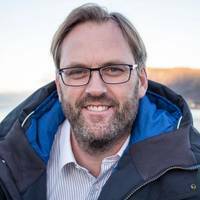 This alternative is an enabler for developing the Gjøa platform as a stronger hub in the area and maximising recovery for Gjøa, Skarfjell and the area in general. Skarfjell is situated in the northeastern North Sea, approximately 20 kilometers southwest of the Gjøa platform. DEA is partner in Gjoa, with a share of 8%. 46th Safety Week Celebration was inaugurated in V.O. Chidambaranar Port. The Safety Week Celebration for the year 2017 commenced with the flagging off of safety procession by U. Rajendran, Traffic Manager, V.O.Chidambaranar Port Trust. A huge gathering of Officers & Employees of the Port, Port Users & Stakeholders participated in the procession from V.O.C Square to the Multipurpose Hall at Port. In the Inaugural Function at Multipurpose Hall, S. Natarajan, Deputy Chairman V.O. Chidambaranar Port Trust, unfurled the Safety Flag and administered the Safety Pledge. 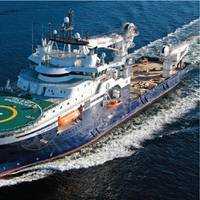 The global offshore supply vessel market is forecasted to grow at a CAGR of 6.03 percent during 2016 – 2021, according to Azoth Analytics research report. 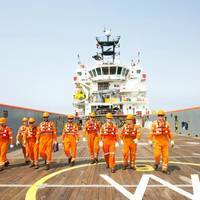 The growth in offshore supply vessels is expectect to be driven by rise in demand for oil and gas globally, increase in offshore drilling activities and growth in production and exploration activities. 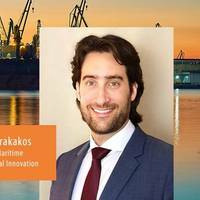 Moreover, companies operating in this market are focusing on investments in R&D for continuous innovation and strengthening their positions in the market by targeted acquisitions and product expansions. 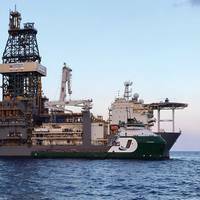 Edison Chouest Offshore (ECO) and its family of companies has reached a 30-month alliance agreement with BP, the largest energy investor in deepwater Gulf of Mexico over the past decade. Chouest and BP have enjoyed a business alliance for over eight years, and the new alliance will continue to include Chouest affiliates ECO (vessel services), C-Port (multi-service terminal facilities in Louisiana’s Port Fourchon) and C-Logistics (logistics coordination, expediting and tracking cargo movement). Items in the alliance agreement include a three-year extension for utilization of BP’s Gulf of Mexico Preservation and Maintenance facility, designed and built by Chouest, and located at the intersection of Hwy. 90 and LA 311, just northwest of Houma, La. Italian gas group Snam is in exclusive talks with EDF's Italian unit Edison to buy a stake in a liquefied natural gas terminal in northern Italy as part of plans to develop its LNG business, two sources said. 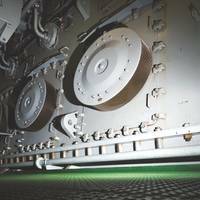 Snam, controlled by state lender Cassa Depositi e Prestiti, is looking to buy Edison's 7.3 percent stake in Terminale LNG Adriatico and the gas pipeline that connects it to Italy's gas transmission backbone, the sources said. 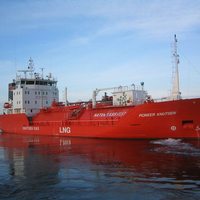 Adriatic LNG, which has a capacity of 8 billion cubic metres per year, is 70.7 percent owned by ExxonMobil and 22 percent by Qatar Petroleum. 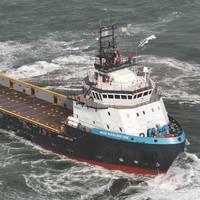 Gulf of Mexico vessel builders – and their customers – adapt to a lean offshore market. 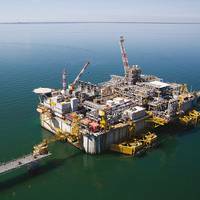 After oil prices plunged in late 2014 – pressured by shale output – demand for offshore vessels in the Gulf of Mexico shrank, day rates for boats fell and non-working units were idled. This year, several GoM boat builders filed for Chapter 11, or voluntary bankruptcy, while others consolidated. The most diversified companies kept their heads above water. Today, the outlook's a bit brighter. Crude oil prices hit bottom early last year. 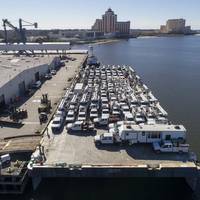 Tidewater Inc.
At the Port of Virginia in Norfolk and the Port of Lake Charles in Louisiana, Foss Maritime is loading hundreds of utility trucks onto barges bound for Puerto Rico this week. It’s all part of the on-going effort to restore power to nearly half of the population who are without electricity. Last Friday, Ricardo Rosselló, governor of Puerto Rico, announced that 1.5 million Puerto Ricans are still without power 100 days after Hurricane Maria hit Sept. 20. As part of the on-going power restoration effort, Foss is working with a coalition of 19 U.S.